Went out visited my classmate "Sarah". She got Bloody Fever,is it true spelling? In Indonesia called "demam berdarah". 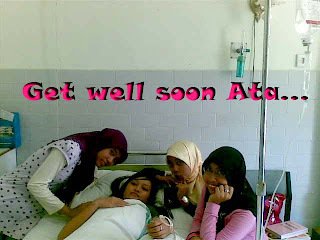 She took care at Yos Sudarso Hospital.